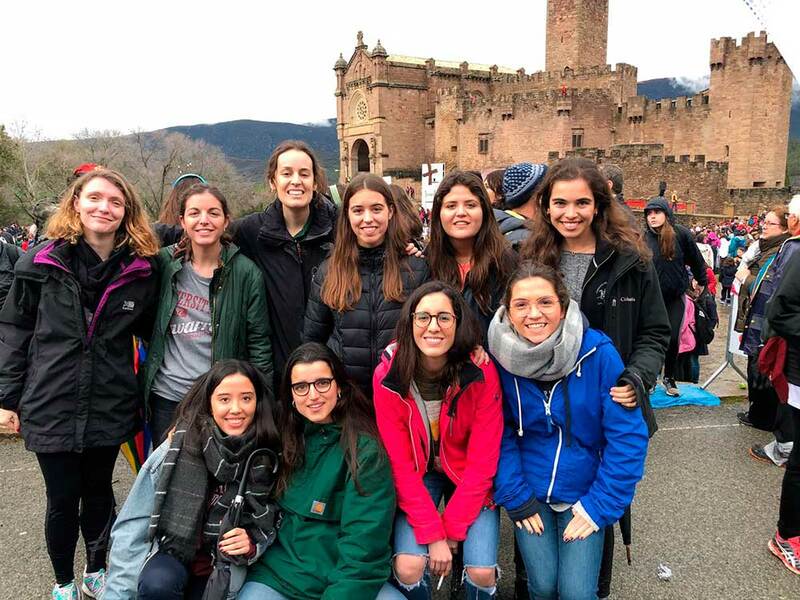 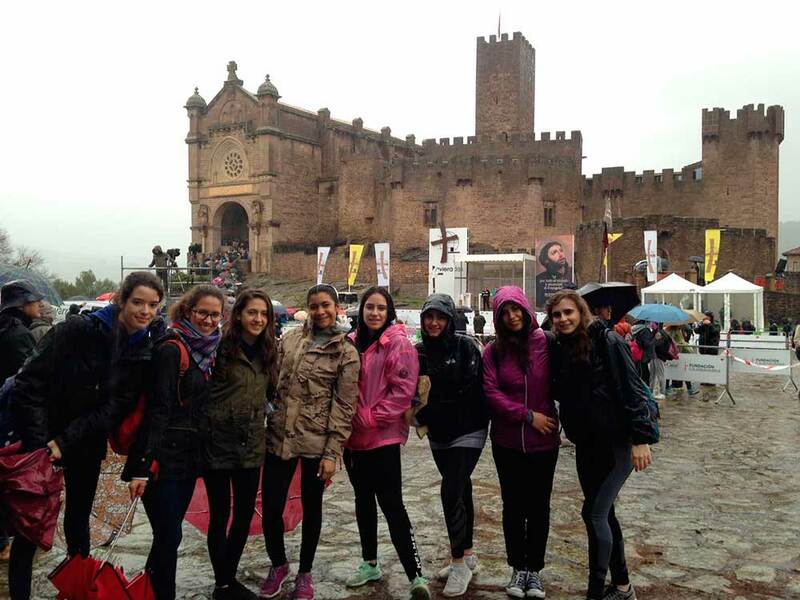 Despite the poor weather, residents of the Alumni College Program did not miss out on meeting San Francisco Javier, Patron of Navarra, and doing a pilgrimage from Pamplona to the castle of Javier. 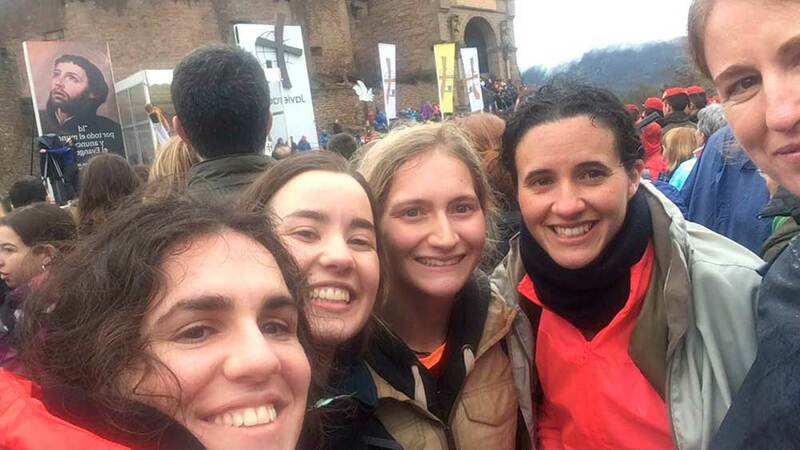 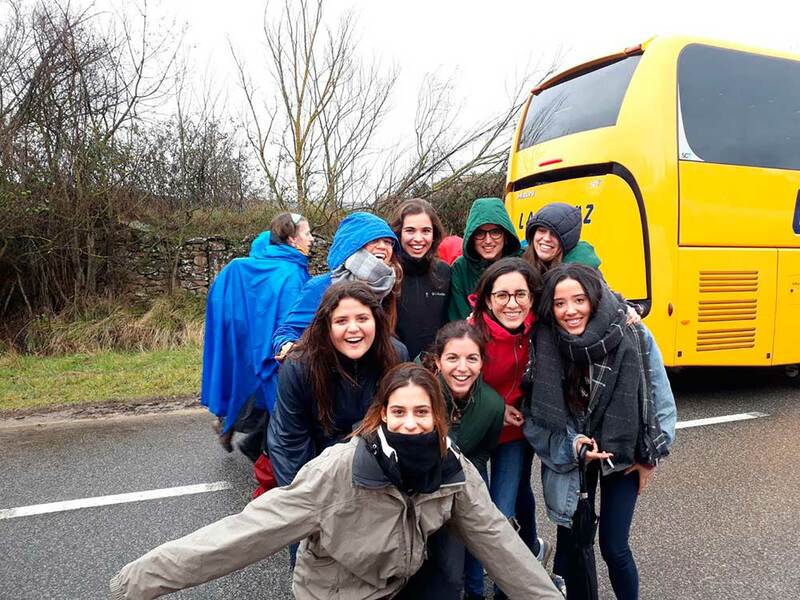 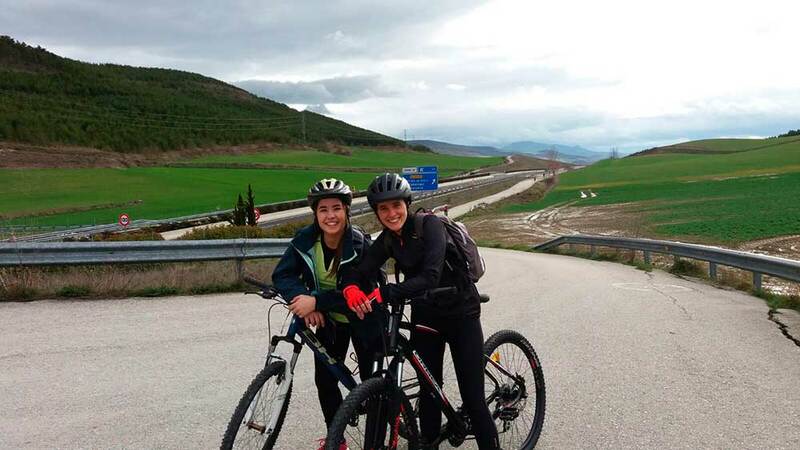 Together with other students from the University of Navarra, some residents traveled the 50 kilometers that separate Javier from Noáin on foot or by bike. 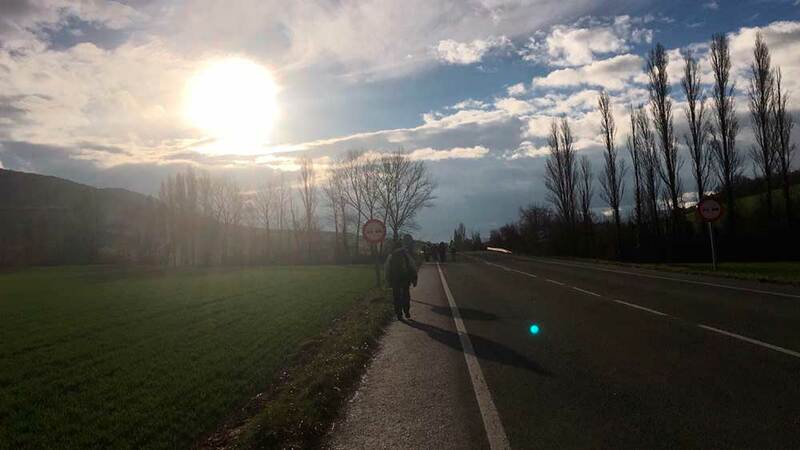 Other residents began the march in Izco and did the 28 km walk to the castle. 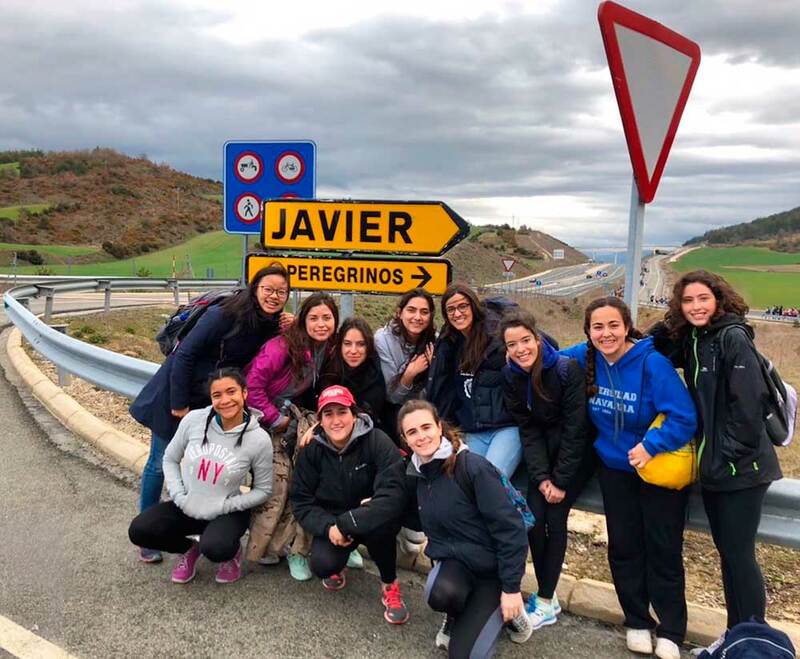 A third group joined the first group already in Sangüesa and from there did the Stations of the Cross until Javier. 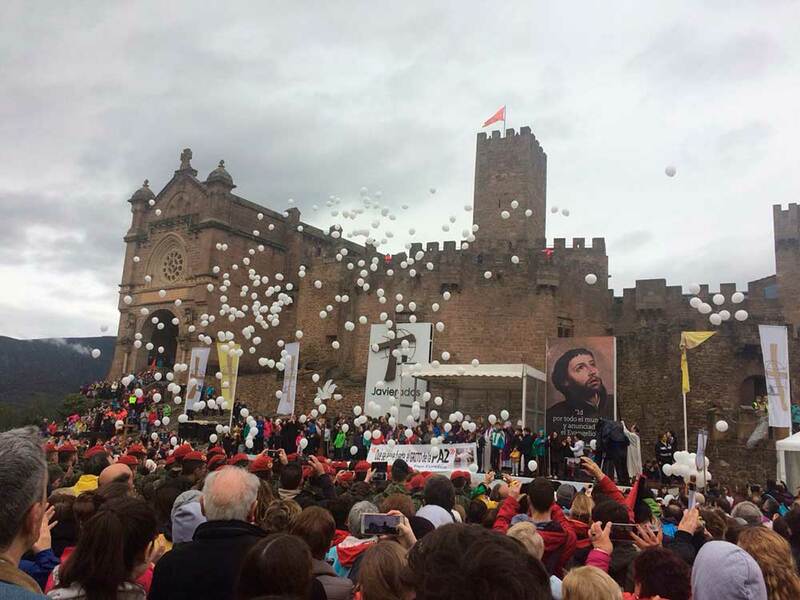 There they arrived shortly before 5pm in time for a mass presided by the Archbishop of Pamplona in the Esplanade of the Castle of Javier. 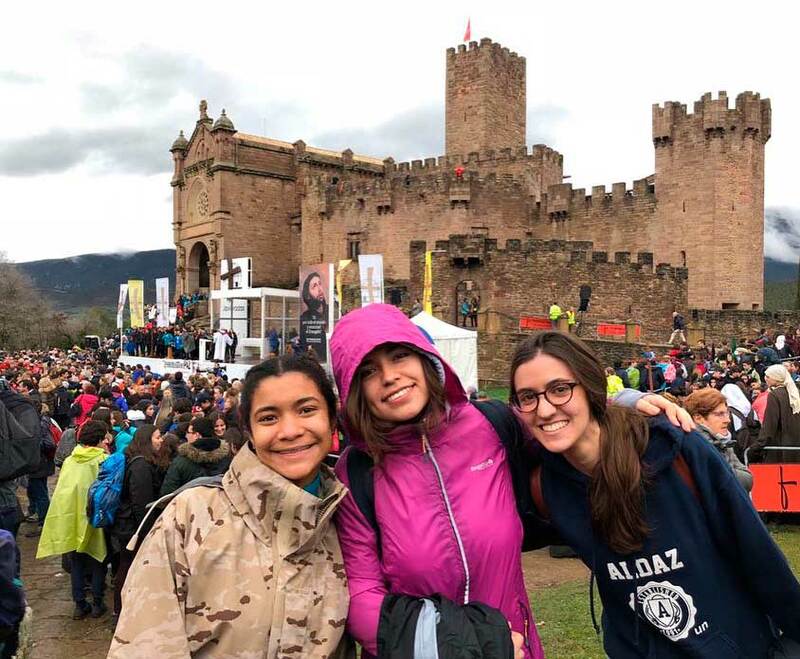 Despite the persistent rain that was present all-day Saturday, almost 400 people participated in this year’s Javierada organized by chaplaincy of the University of Navarre.